Thermal Manicure? That’s right! Enjoy all of the indulgences of a regular manicure plus the relaxing benefits of paraffin wax for your hands. Paraffin wax helps replenish the skins soft texture and re-hydrates with natural oils, which is always helpful in the dry cow-town of Calgary. Upgrade to shellac polish for an additional $10. 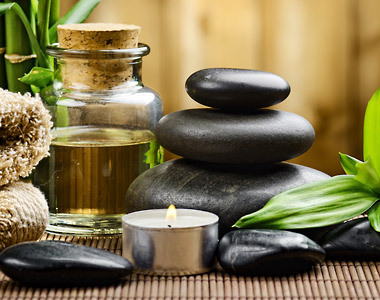 At our spa we like to hook you up with products you can take home that you won’t find on any store shelves. You can view some details here online but make sure you ask us for a product tour next time you are in. We’ll show you what we have and what works best for you and why!